My daughter has this car seat and it is so easy to attach and remove from the car, easy to loosen and tighten the straps, it reclines for a sleeping baby and my daughter hasn't been able to escape from it as much as she's tried!! 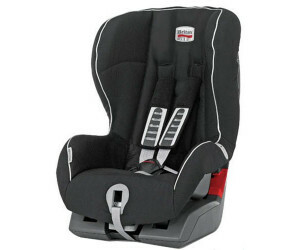 This car seat is ideal for my little boy he has always been a bruiser and this is roomy enough without looking unsafe. It isn't the easiest to dissemble the cover for cleaning but it is all in one piece which is good. I find it a bit difficult to tighten the straps at times. The decline feature is easy and handy when they do nod off. It would be better if they had a head bumper sorter cushion which you see in other seats as when he is sleeping sometimes his head does seem slightly crooked too much not that it ever bothers him. All in all handy and easy to get baby in and out as well as safe and easy to fit. My son (13 months) loves this chair because he can see everything I find it hard to adjust the strap length if he’s wearing bulky clothes but it’s so easy to fit it makes swapping into grandmas car an absolute doddle it’s very secure and he looks comfy I would definitely recommend it to anyone. Love this product it is so handy for heavy items on the pushchair it is so strong. Don't know what I would do with out mine have bought many for my friends. I have just purchased this car seat for my daughter as she has outgrown her previous car seat. The seat was very simple to fit to the isofix and my daughter looks comfortable in this seat. We are using the recline option at the moment which is great for naps on long journeys! I have this car seat got my daughter.. it's perfect for new born and upwards.. You can tilt it back when they fall asleep so there head isn't hanging. It supports them. We recently purchased this car seat for our son and it’s amazing my son is always so happy in this seat there is never a issue! It’s perfect the only thing I find annoying about it is sometimes I struggle to do it up, overall superb product! 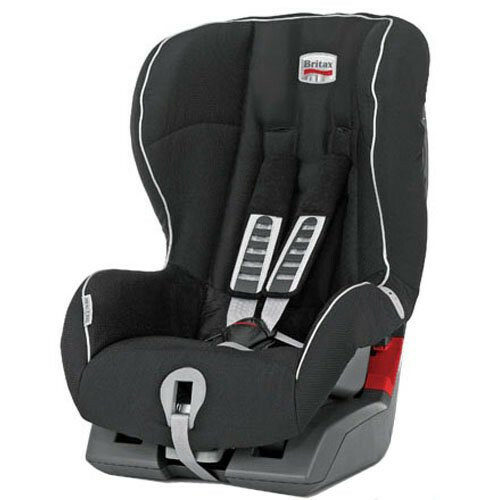 Keeping your child safe has never been easier thanks to the Britax Römer King II LS Group 1 Car Seat. Suitable from 9kg to 18kg, this unique and innovative forward facing car seat has a light and sound indicator to help you harness your child to the correct tension, with advanced side and frontal protection. Batteries inside the Light System are included with the seat and expected to last for the full product life time (approx 7 years) under normal consumer usage.